Please click on the link to access specific webinars from our series. Psychological involves “a feeling or climate whereby the learner can feel valued and comfortable yet still speak up and take risks without fear of retribution, embarrassment, judgment or consequences either to themselves or others, thereby promoting learning and innovation” (Turner & Harder, 2018). In the new era of simulation-based education, it is important to ensure psychological safety. 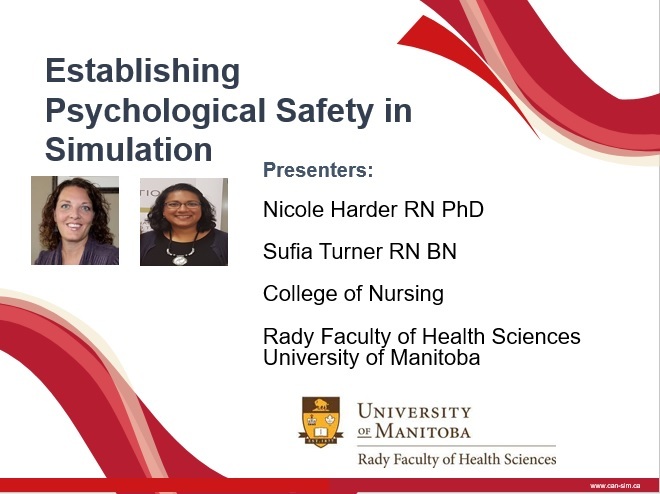 This webinar will explore the origins of psychological safety and how it applies to nursing simulation-based learning opportunities, identify the antecedents and attributes of psychological safety, and discuss the importance of ensuring psychological safety for the learning to optimize learning. As Director of Certification for the Society for Simulation in Healthcare, Andrew has been a Paramedic for 27 years doing both ground and air ambulance work. This evolved into directing an EMS Education program for five years prior to coming to SSH. He has an MA in Political Science and is currently working on his dissertation for a PhD in Education at the University of Missouri (emphasis in Educational Leadership and Policy Analysis). 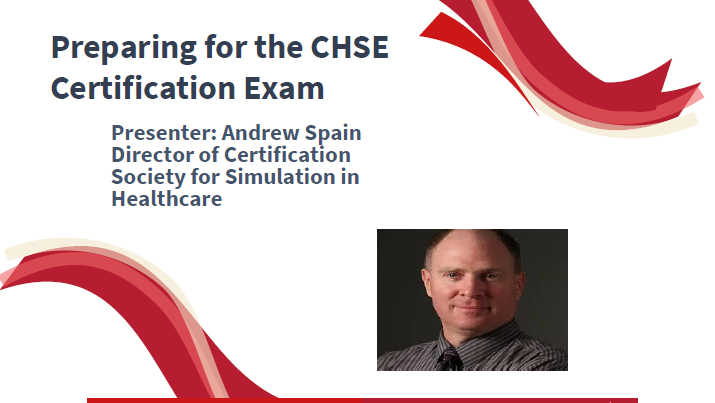 The SSH developed the certification process for educators focused on healthcare simulation. This webinar provides an overview of the exam and related requirements to sit for the exam. Games and gaming technology have moved beyond the traditional domain of entertainment since gaining popularity within healthcare education. Limitations of VSG development included the high cost of gaming software, time commitment for development, and significant manpower including computer programmers, subject matter experts, learning theorists, game designers and instructional design specialists. This accounts for the prohibitive cost associated with game development. This is especially problematic as VSG are an ideal platform for Interprofessional education (IPE). To address this issue, the authors developed a cost-effective VSG development platform. This webinar will highlight a user-friendly approach to virtual simulation game development.